SOMERVILLE, Mass. 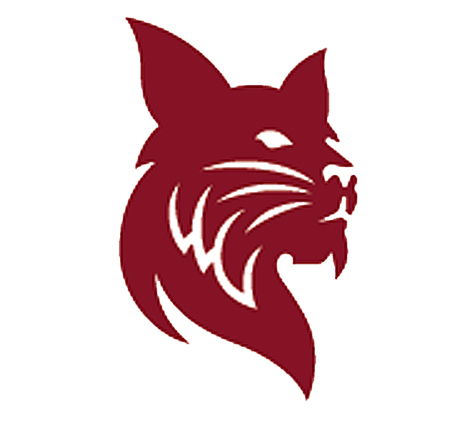 — Bates College finished the second quarter strong, but Tufts completely took over in the second half to beat the Bobcats 47-14 in NESCAC football action Saturday. The Jumbos (3-0) took a 10-0 lead in the first quarter on a field goal by Matt Alswanger and 9-yard touchdown run by Mike Pedrini. Bates’ defense help set up a pair of scores in the second quarter. First, senior defensive lineman Walter Washington sacked Tufts quarterback Ryan McDonald on fourth down to give the Bobcats possession. On the ensuing drive, quarterback Brendan Costa completed a 33-yard pass to Jackson Hayes, and later Christian Sanfilippo reached the end zone form 5 yards out to cut Tufts lead to 10-7 with 3:19 remaining in the first half. Tufts’ next possession was thwarted when Anthony Costa intercepted McDonald and returned the ball 34 yards to the Jumbos’ 31. A few plays later, Brendan Costa hooked up with Kody Greenhalgh on a 29-yard touchdown pass with 1:19 left in the first half, and Bates went into halftime with a 14-10 lead. Tufts, though, reeled off 37 unanswered points in the second half. McDonald threw for two second-half scores and ran for another. McDonald completed 15 of 36 passes for 207 yards. He also led the Jumbos with 161 yards on 23 carries. Bates’ passing offense had its best game of the season. Costa was 16 of 31 for 160 yards. Greenhalgh caught six of those throws for 77 yards. Jackson Hayes caught three for 47 yards. The Bobcats’ run game, though, gained only 38 yards on 30 carries. Bates returns home next week to face Williams at 1 p.m. The Ephs improved to 3-0 Saturday by defeating Trinity 21-16 on Saturday. BRUNSWICK — Ollie Eberth threw for 251 yards and three touchdowns, and rushed for 78 yards as the Mammoths (2-0) beat the Polar Bears (0-2) at Whittier Field on Saturday. Austin McCrum threw for 242 yards and two touchdowns for Bowdoin. His 5-yard touchdown pass to Bo Millett with 5:15 left in the first half to cut Amherst’s lead to 10-7. The Mammoths responded with a 10-play, 83-yard drive capped by a 12-yard touchdown pass from Eberth and Justin Berry to make it 17-7 heading into halftime. WATERVILLE — The Panthers (2-1, 2-1 NESCAC) scored three straight touchdowns in the span of 1:07 midway through the fourth quarter to beat the Mules (0-3, 0-3) at Harold Alfond Stadium in Waterville. Frank Cosolito connected with Will Jernigan for a 10-yard score to put the Panthers ahead 17-7 with 6:22 left in the fourth. Matthew Daniel returned an interception 32 yards for a touchdown 40 seconds later, and after a Colby fumble, Will Jernigan rushed for a touchdown to make it 31-7 with 5:15 left. Matt Hersch threw for 182 yards and two touchdowns for Colby. HARTFORD, Conn. — Peder Bakken scored the winning goal in the 109th minute to lift the Bobcats (5-2) past the Bantams (2-6) in double overtime Saturday. Bakken’s goal came off a deflection of teammate Liam Goldfarb’s shot. The NESCAC victory is Bates’ third straight. The Bobcats (5-2, 3-2) are off to their best conference start since 2005. Bates took a 1-0 lead when Austin Sansone scored from Bakken and Antonio Heredia in the 38th minute. Trinity tied it in the 59th minute on an unassisted goal from Alistair Matule. HARTFORD, Conn. — Duun O’Hara’s goal in the 88th minute lifted the Bantams (3-4-1, 1-3 NESCAC) to a come-from-behind victory over the Bobcats (2-6, 0-6) on Saturday. Riley Turcotte gave Bates a 1-0 lead 16 minutes into the game. Trinity broke through in the 66th minute when Colleen Lux scored from Amelia Kroschwitz. Trinity goalie Taylor O’Connor had six saves. Katherine Nuckols made two for the Bobcats. FARMINGTON — Kelci Faulingham, Lindsey Gregoire and Christina Denis all scored as the Terriers (7-5, 1-0) rolled past the Beavers (1-6, 0-2) at Prescott Field on Saturday. Grace Dimarco made three saves in the loss. HARTFORD, Conn. —Chandler Solimine scored three goals and Caroline Curtin finished with three assists as the Bantams (5-2) rolled past the Bobcats (2-6) on Saturday. Adelae Durand stopped eight shots for Bates.